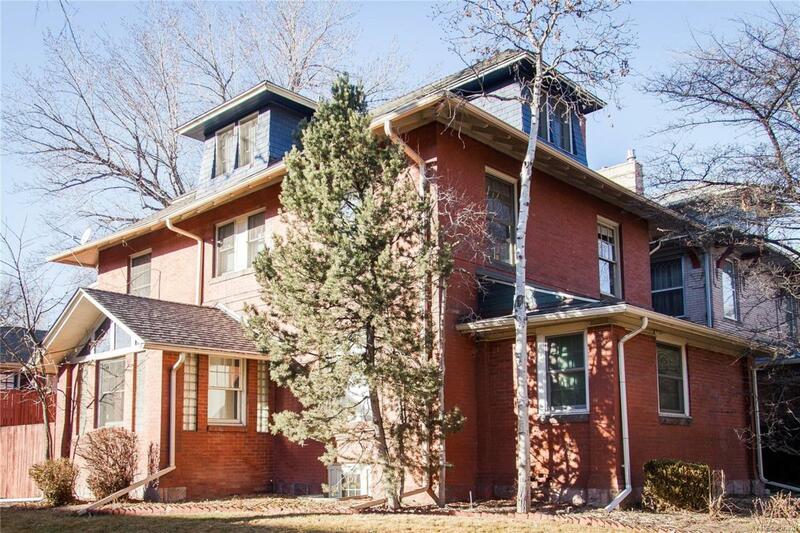 Penthouse condo in gorgeous Victorian located 1/2 a block from Cheesman Park. Rare 2-story layout in bright 2-bedroom, 2-bath. Offering exposed brick, solid hardwood floors, Italian gas range, white quartz countertops within an updated open floor plan. This light-filled unit combines old world charm with modern city living. Parks, transit, restaurants, bars, and coffee shops are right outside your door. This property has an in unit washer/dryer, generous storage space in the basement, secured private front entrance, and bicycle storage. The HOA dues cover heat, electrical, gas, and water. This unit has the buildings only covered parking. Utilize this condos mixture of city and country appeal to be your next home.